The Belle is Grp 1 Brilliant – again! 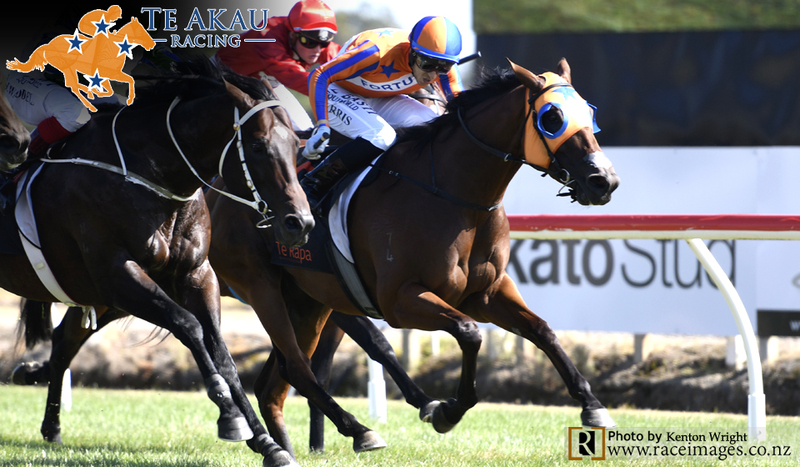 A race formerly known as the Waikato International Stakes, won by horses the calibre of Veandercross, Sunline, Darci Brahma, Seachange, and Mufhasa, the $200,000 BCD Group Sprint (Gr. 1, 1400m) added another champion to the honour roll when Melody Belle(4 m Commands – Meleka Belle, by Iffraaj) scored in cliffhanging fashion on Legends Day at Te Rapa. Champion Two-Year-Old, Melody Belle notched her fourth Group One Victory for the Fortuna Melody Belle Syndicate (Mgr: John Galvin) and provided trainer Jamie Richards with his 50th Group and Listed race winner – an incredible achievement by a young man only 29 years of age. Te Akau principal David Ellis purchased the stellar filly for $57,500 at the 2016 New Zealand Bloodstock Premier Yearling Sale, from the draft of Haunui Farm, and her record stands at nine wins from 18 starts, with earnings of $1,380,406. “It’s been a great day for Te Akau Racing with another two-year-old winner (Harlow) winning the first (race) and now Melody Belle,” Ellis said. “She’s an incredible mare that was bred by Marie Leicester, from the famous Belle family started by her parents, James and Annie Sarten, and she just keeps raising the bar. When a midfield position became slightly awkward nearing the home turn, prospects of Melody Belle winning appeared to diminish, but a no panic ride by former Te Akau apprentice Troy Harris saw the treasured mare get her nose in front where it mattered. “Top of the straight I gave her away a bit,” Richards said. “But full credit to the horse, she’s so tough and never gives up. Everything she’d done at home since Trentham had been spot on. The guys had done a great job with her and it was a lovely ride from Troy. Melody Belle scored by a head, with a nose separating second placed Bostonian (Jimmy Choux) and Ardrossan (Redoute’s Choice) in third. She ran the 1400 metres 1:22.6, last 600m in 34, the win providing Harris with his first Group One win since riding another Fortuna owned horse, Tell A Tale (Tale of the Cat), to 2000 Guineas (Gr. 1, 1600m) victory in 2008, trained by Mark Walker and also purchased by David Ellis. Depending on how Melody Belle comes through the race, Richards said she might contest the $200,000 Haunui Farm WFA Group One Classic (Gr. 1, 1600m) on 23 February at Otaki. Fortuna manager John Galvin said: “I was on the podium winning this race as an owner in Darci Brahma and today we’re back with another lovely horse, scoring her fourth Group One win. “David (Ellis) selected this horse at the 2016 (NZB) sale. She’s done you proud, David, and as principal of Te Akau Racing it must be a special thrill. Melody Belle was strapped by Teina Walters.